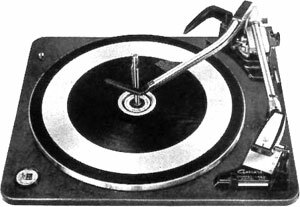 The Garrard model 60 is fitted with a diecast platter and Garrard Laboratory series four pole induction motor. The unit features a tubular, counterbalanced pickup arm with bias compensator. Pickup leads terminate at a phono socket or muting switch. Garrard 60 / 60 owners manual, service manuals and schematics are for reference only and the Vinyl Engine bears no responsibility for errors or other inaccuracies. The PDF files are provided under strict licence. Reproduction without prior permission or for financial gain is strictly prohibited. This website is not affiliated with or sponsored by Garrard. Posted Sun, 09/04/2011 - 00:38 by lakelandfrank. The manuals you supplied helped greatly. I didn't even know about the bias compensator. Also great information on troubleshooting. The old girl runs as if new. Cleared up a lot of distortion, too.